A strike at Lear Corp, a General Motors supplier, led to a production halt at Oshawa Assembly for about three hours Friday, according to Reuters. 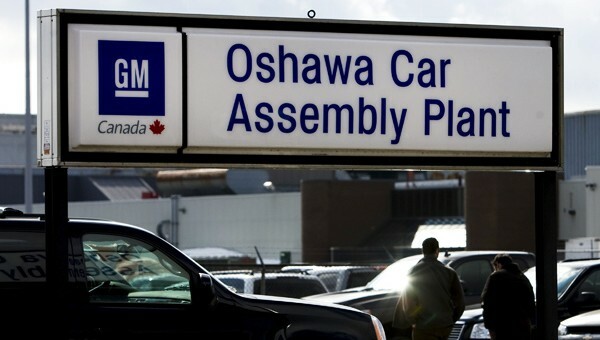 The strike at Lear Corp is just the latest tactic by Unifor, the Canadian workers union that represents 2,600 assembly-line workers at Oshawa Assembly and 1,800 employees at GM supplier plants, to get General Motors back to the negotiating table to discuss the closure of Oshawa Assembly. The move is unlikely to entice the Detroit automaker to discuss an alternative to closing the factory. The strike, which saw more than 200 Lear workers walk off the job, halted production at Oshawa Assembly because plant operates on a just-in-time delivery system. This limits the supply of parts at the factory making even a temporary stoppage at Lear or other suppliers detrimental to production at Oshawa. The strike ended when the next shift went to work at 2:30 p.m with production resuming at Oshawa about 40 minutes later. “The message that we’re sending is that it’s not just about General Motors’ workers. All the suppliers, including Lear Whitby, are impacted by a potential closure,” Unifor Local 222 President Colin James told Reuters. Since General Motors announced it wanted to close five North American factories, discontinue several models including the Buick LaCrosse and Chevrolet Impala, and lay off thousands of employees, Unifor has brazenly attacked the automaker for its proposals. The Lear strike is just the latest in a long line of actions taken by the union. When GM announced Oshawa would close, workers walked off the line in protest—but that was just the start. Workers then held a sit-in protest before taking to the bank of the Detroit waterfront to continue protesting the automaker. The union then began a media campaign criticizing the automaker, taking out TV and print ads. GM rejected a plan from Unifor to keep the factory open. In the last few weeks, Unifor has increased its attacks on the company, calling for a boycott of Mexican-built vehicles by the automaker—a boycott joined by the United Auto Workers union. Unifor members also blocked access to GM’s Canadian headquarters and most recently ran a commercial during the Canadian airing of Super Bowl LIII that had General Motors threatening to sue the union for mischaracterizing facts surrounding its 2009 government bailout. For those of us with Gen 5 Camaros, this is very sad indeed. The Oshawa workers took great pride in building my factory ordered 2014 2SS Convertible and I cherish it to this day. They embedded themselves into the Camaro Community sharing the inside scoop to those of us eager for news about our beloved muscle cars. I want everyone at Oshawa to know that we owners of your product have the utmost respect for your dedication, passion and abilities. It is just awful that GM is walking away. They’re losing a great workforce. Oshawa, you have my Respect and admiration. I’m sure Camaro nation joins me in wishing you well.